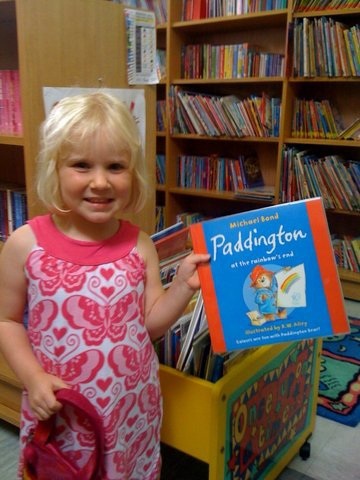 Henley Community Library wants to extend its children’s services. We are now asking young children’s parents (through nursery and pre-schools) whether their youngsters would come for rhythm and rhyming and story-telling activities at the Library. There have been requests for these services from individual parents, some keen on volunteering to run the activities, but no organised community response until now. Our drive follows from the very successful 2012 Summer Reading Challenge, in which 47 school children obtained their gold medals at an “Olympic Awards”ceremony at the Methodist Church in September. Their small brothers and sisters often came to the library with them, and we would like to restore services that ended last March for these very young listeners and readers. Parents and nurseries can promote this goal by expresssing their interest to us on the provided form and joining our Paper Chain fundraiser. Local businesses can support the Paper Chain financially: they can pledge a penny for each paper link made between 1 and 22 December by local children to create a large garland. It will be the main Christmas holiday decoration for the library. The money it raises goes to buy a cd player, children’s rhythm instruments and stationery for the proposed activities. If you’re a parent who hasn’t received our letter and interest form through your child’s school, you can download it here. If you’re a business person we haven’t reached and you want to help, see our letter to businesses here and our pledge form here.